Capel, A. & Nixon, R.This modular course provides coverage of topics, grammatical areas, and vocabulary included in the PET. Training activities combine with exam task familiarization and practical exam tips. Lessons are conveniently placed on a double page. Key features Training and extensive practice for all parts of the PET. Highly experienced author team with in-depth knowledge of the PET. 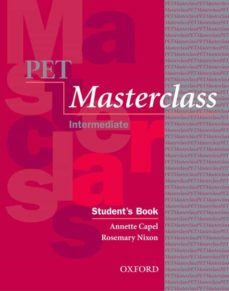 Ideal for intermediate-level students, especially those interested in the PET. Exam guide providing extra support.